Butcher Bird Studios created this wonderful video about the work of the Arroyos & Foothills Conservancy and our partner wildlife tracker/photographers Denis Callet and Johanna Turner. It was featured in the Descanso Gardens exhibit "Growing Habitat: L.A.'s Wildlife and Descanso." I have long been fascinated by the profound impact indigenous American cultures have had on Mexican culture and identity. My interest began as a child, when I learned about my own cultural and ancestral ties to this continent. 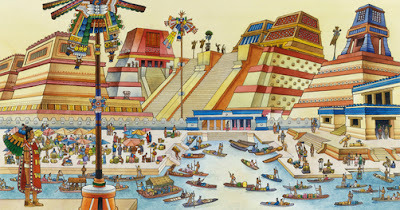 I was taught to take pride in the great accomplishments of Mesoamerican civilizations, and have since enjoyed learning all that I can about the indigenous influences on Mexican cuisine, language, dress, music and food. The importance of a whole-grain, plant-based diet is something I am also passionate about. Mexican food's origins in the native American “corn cultures" has taken on a profound importance for me, and my roots in this continent have grown deeper. As I hope to reveal in this essay, indigenous influences on Mexican culture all contain within them clues to the origin, history, and modern identity of people of Mexican descent. An analysis of the many indigenous influences on Mexican culture must naturally begin by considering the very reason we exist upon this continent -- our genetic origins in the Americas. Many Mexican people have strong ethnic links to this indigenous heritage. 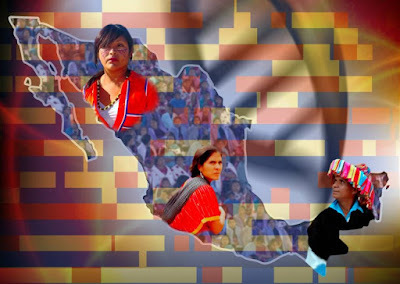 The most comprehensive genetic study of the Mexican population to date was conducted by researchers from UC San Francisco and Stanford University, along with Mexico’s National Institute of Genomic Medicine (INMEGEN). 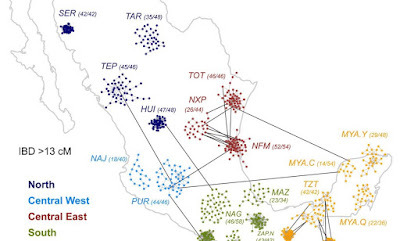 This study, published in Science Magazine and entitled “The genetics of Mexico recapitulates Native American substructure and affects biomedical traits,” identified tremendous genetic diversity within Mexico, reflecting thousands of years of separation between local populations. The researchers discovered clear, genetic remnants of ancient empires that crossed seemingly remote geographical zones. "We were surprised by the fact that this composition was also reflected in people with mixed ancestries from cosmopolitan areas,” said co-first author Moreno-Estrada, a life sciences research associate at Stanford. "Hidden among the European and African ancestry blocks, the indigenous genetic map resembles a geographic map of Mexico." This study revealed profound implications for the field of medicine, as genetic differences between so-called “Latino” populations can result in vastly different outcomes and predispositions related to health. I believe, however, that the significance of these findings reaches beyond the merely scientific. 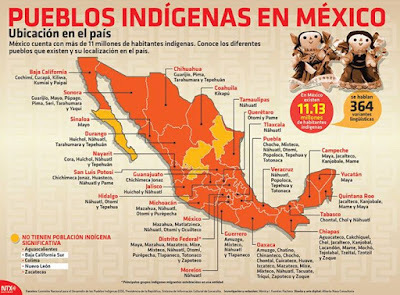 The long and ancient presence of many of the ancestors of modern day Mexican people demonstrates the primary reason for the existence of all of the various indigenous influences which will be examined in this essay: Mexican people are, to a large degree, native to the Americas. 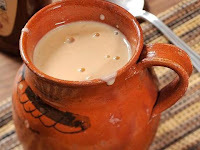 The culinary, musical, linguistic, and various other cultural aspects of indigenous origin within Mexican culture are therefore a direct result of this fact. Taking the above information into account, it makes sense that Rodolfo Acuña stated in his book “Occupied America” that “The primary culture of Mexico and the Americas is Indian." Mexican culture shares a common heritage as being one of several indigenous American “corn cultures.” The Mexican cuisine which is so much a part of our culture has it’s foundation in a healthy, plant-based, indigenous diet. 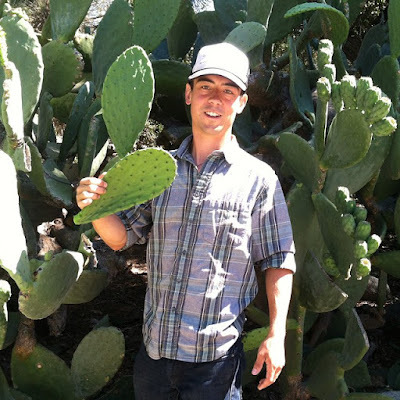 Indigenous cuisine has historically contributed to the health and wellness of native American peoples, and for that reason is being reclaimed today by modern Mexican Americans in the United States. 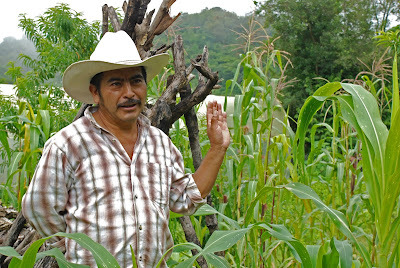 Mexican people have a very ancient and intimate relationship with corn. For more than 10,000 years, Mexican farmers selectively bred and domesticated maize from its ancestor, a wild grass called teosinte. 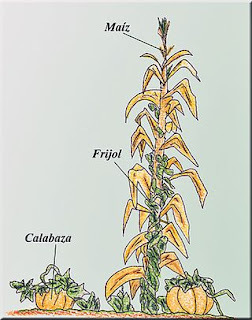 Teosinte, from the Nahuatl “teocintli,” or “sacred corn” is different from our modern corn. Over centuries, ancient Mexicans selectively picked the largest of the teosinte kernels and bred from it the first ancient forms of maize. This domesticated whole grain spread throughout North America along what is now the U.S. Interstate Highway 10, bringing the associated maize culture with it. (Acuña p. 3) Evidence supports the theory that Mesoamerican farmers transported corn seeds to the American Southwest, due to the similar and intact cultural aspects and symbolic significance which it played in native ceremonies and rituals. 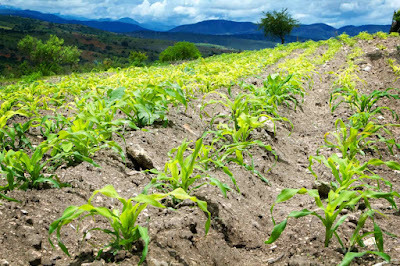 (Acuña p. 3) The cultivation of corn also spread from Mexico into South America, and could be found in modern-day Peru as early as 450 AD. (Acuña p. 3) As it spread throughout different lands, corn was bred with incredible diversity and adapted to numerous climatic conditions. As whole grains elsewhere in the world, corn took its place as a primary and staple food. 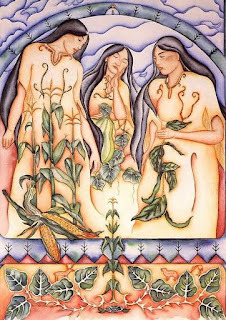 Corn was often grown together with beans and squash in a system known as the Three Sisters. Indigenous people who followed the traditional diet composed primarily of vegetables, corn, beans, squash, fruit, wild plants, fish and game, enjoyed abundant health and longevity, absent of the current epidemics of degenerative disease which so often plague their modern-day descendants in the U.S. 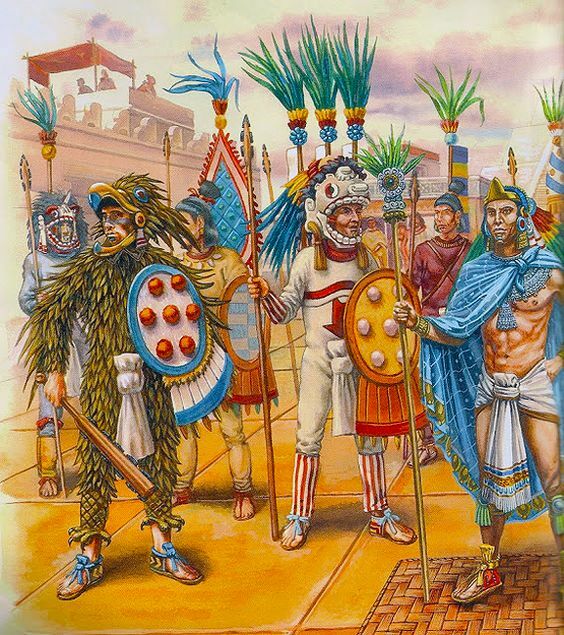 When Cortes and the Spanish conquistadors arrived in Mexico, they were amazed to discover that the Aztec lifespan exceeded their own by at least 10 years. (Jackson) The benefits of a traditional diet and lifestyle can still be seen in traditional people such as the Tarahumara, or Raramuri people of Mexico. The Raramuri are arguably the best endurance runners on Earth, and it is well documented that those following a traditional diet were almost completely free of many common degenerative diseases. High blood pressure and obesity were unknown to them, and their cancer rates were extremely low. In fact, it is only since the introduction of modern processed foods such as top ramen, chips and soda, that the Tarahumara have had to invent names for diseases like “high blood pressure." The traditional Native American diet based on corn and corn products such as tortillas, tamales, cornbread, pupusas, pozole and atole remains the basis for much of the modern cuisine of Mexican people. 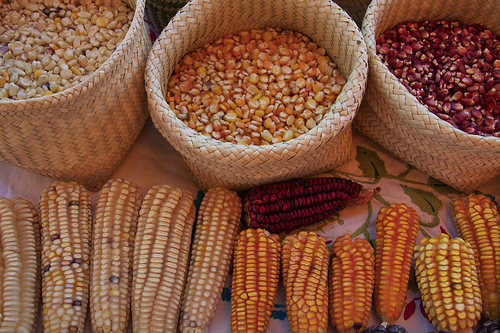 The foundation of these foods reveal a diverse, healthful, indigenous diet which is a direct link to our Mexican roots as America’s original corn culture. The integrity of this central aspect of Mexican cultural heritage, however, is in jeopardy. 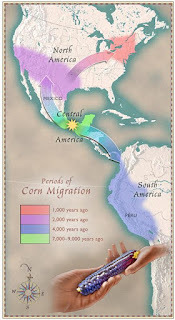 According to Acuña the “European invasion (of the Americas) put the corn cultures in danger of extinction. This threat continues today (because) genetically modified organisms (GMOs) are invading the native corn." 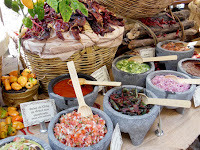 Considering the strong and central influence of indigenous foods on Mexican culture, it should come as no surprise that many of the most common words in Mexican Spanish for food, along with many other words, are of indigenous, primarily Nahuatl origin. As with culinary influences, these linguistic aspects of Mexican culture set it apart as truly indigenous and American. 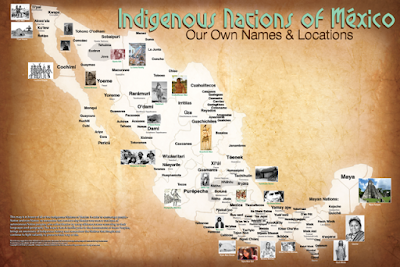 Words, names, and expressions of indigenous origin contain within them the story of who Mexican people are, and where they came from. Nahuatl words in the Spanish language, which are the most common words of indigenous origin used in Mexican Spanish, include an extensive list of words that represent animals, plants, fruits and vegetables, foods and beverages, and domestic appliances. In the Nahuatl language, many of these words end with the suffix "-tl." This word ending was hispanicized into a "-te" ending in Spanish. For example, the word “axolotl” became “ajolote.” Spanish words for animals, plants, foods or other objects which end in "-te" most likely derive from the Nahuatl language. Examples of how inextricably linked many common words and names of native origin are with Mexican culture may be seen in the following examples of Spanish words of Nahuatl origin. The Spanish word for avocado, “aguacate” is derived from the Nahuatl word “ahuacatl.” Atole, the maize porridge so common within Mexican culture came from the Nahuatl word “atolli.” The Spanish word for peanut, “cacahuate” and for sweet potatoes, “camote” are also nearly identical to their original, indigenous pronunciations. 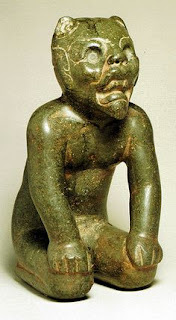 The common Mexican name for a young boy, or a “chamaco,” comes from the Nahuatl word “chamahuac,” describing the same. A “chapulin” is both the Nahuatl and Spanish word for a grasshopper, while the well-known word for chewing gum, chicle, is very similar to it’s Nahuatl counterpart of “tzictli.” One of the most defining and characteristic food items in Mexican culture, the chile pepper, closely matches it’s Nahuatl counterpart of “chilli.” Even the popular restaurant chain Chipotle owes it’s now famous name to the word of indigenous origin, “chilpoctli,” which is a type of red chile. Most people in Mexican culture have grown up hearing the description of someone or something being “chiquito.” Surprisingly, this word as well derives from the Nahuatl “tzitz quit,” meaning very small. Chocolate closely resembles the word of it’s origin, chocolatl, while a comal, or a griddle, is easily recognizable as originating from the Nahuatl “comalli.” Copal, used so prominently by Aztec dancers, is another native word for the incense made from tree resins. Coyote, the native dog species of the Americas, derives from the word coyotl. 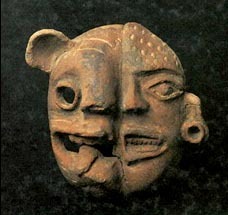 The Mexican Spanish slang word for a friend, “cuate,” comes from the Nahuatl “cuatl,” meaning twin, or a buddy. Similarly, a “tocayo,” or a namesake, derives from the word “tocayotl.” Elote, or corn on the cob, which is so often sold by street vendors, is also a Nahuatl word, as is guacamole (ahuaca-molli). A molcajete, the volcanic stone mortar used to create guacamole, derives from the word “molcaxitl,” which is used to create sauce (molli) out of peanuts, chocolate, chiles, and other ingredients. The famous nopal cactus, which features so prominently on the Mexican flag, is pronounced “nopalli,” while another well-known cactus, peyote (peyotl) is also a word of Nahuatl origin. The pre-Colombian stew pozole (potzolli) is a well-known hangover remedy used after a night of drinking too much of the alcoholic drink mescal (mexcalli) or tequila. Tamales (tamalli), or tomatoes (tomatl) come from crops grown in a milpa, or a field. Huarache sandals derive from a Purepecha word, kwarachi. In "Saints and Citizens", Haas refers to the “California vernacular”, the vernacular Spanish that Indigenous people learned in the missions and that was spoken by the troops in California. 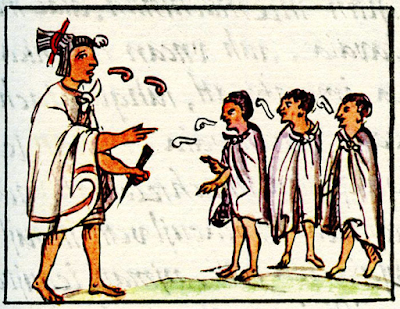 It contained elements of other indigenous languages spoken in Mexico and “had traces of Indigenous speech and experience from the long colonial history of conquests that the military had undertaken." The experience of traveling out of Mexico through indigenous lands and into California and the Southwest, where many modern Mexican Americans now live, is written in the language picked up along the way. These words, which are unique to Mexican culture, are evidence of a people with their own unique and storied history and identity that is largely native to America. Many traditional styles of clothing and dress in Mexican culture have indigenous cultural roots, and are still worn today among modern Mexican people. The regional influences on the clothing, the designs, and even the materials used in the production of traditional clothing items all reveal interesting facts and histories behind them. Most pre-Columbian clothing that remains today and which is still worn is women’s clothing. 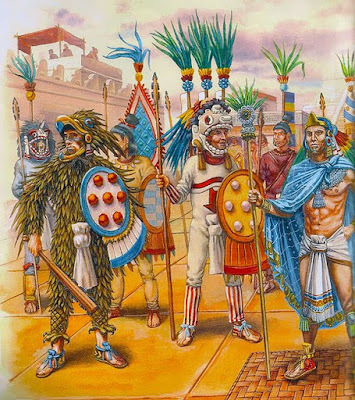 These include such items as cloth belts called fajas, and tunics known as huipils, a type of tunic, and a type of short poncho called a quechquemitl. The quechquemitl used to be worn directly on the upper body of a woman, but is today worn over a blouse. Huipils are often embroidered with beautiful floral and geometric designs, and are popularly worn by women today. Young Mayan girl wearing a huipil. Another garment of indigenous origin is the rebozo. This is a long, rectangular shawl used as a wrap, and also as a way to carry children or other objects tied to the body. 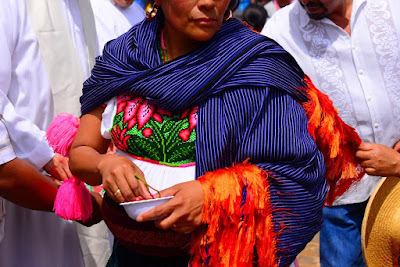 The rebozo is a mixture of indigenous, Spanish, and Asian influenced garments, and are woven with multicolored designs using threads of different colors. 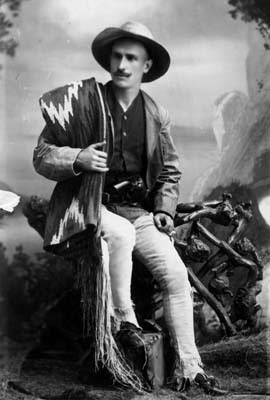 Charles Lummis, founder of Arroyo Seco Foundation, wearing a serape in the old Californio style. 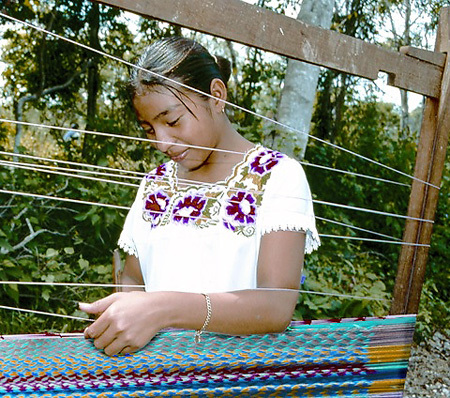 In addition to clothing, other woven items common to Mexican culture contain aspects of indigenous origin, such as blankets, hats, and backpacks. The designs for these items are often woven into the fabric or embroidered. The materials for these items may be made with various native fibers, as well, including those made from cotton and the agave plant. 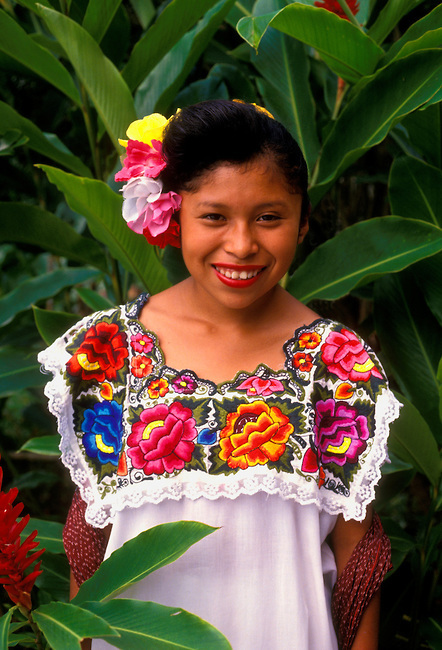 Just as with language and food, traditional Mexican clothing reflects the history and roots of our culture. The rebozo, for instance, is a mixture of pre-Hispanic, Spanish, and Oriental influences which reflect the history of Mexico’s indigenous people being conquered by Spain -- a land which itself was dominated by “Oriental” or Islamic civilization for many centuries. Reflecting upon this history and heritage as expressed through clothing enables us to understand the development of our modern identity. 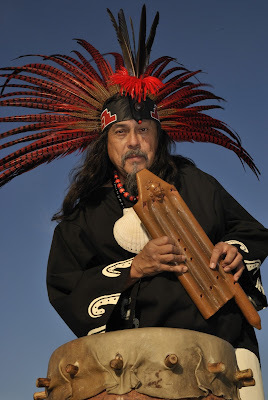 Pre-Columbian musical influences still are present in modern Mexican American culture. Much of the traditional Mexican Son music, for instance, which has influenced musicians in the United States was created as a mixture of Spanish and local indigenous musical styles. (Ilich) The musical and instrumental style reflecting the greatest indigenous heritage, however, would be that which accompanies Aztec dance. Martin Espino is a musician and composer of authentic pre-Columbian style music. The dance style now known as Aztec dance originated on the periphery of what was once the Aztec Empire, and often recreated or reenacted the battles against the Spanish during the Conquest. (González Torres) Aztec dancers adopted Spanish military titles for it’s dancers, and depending on the group, might honor a patron saint of Catholicism. 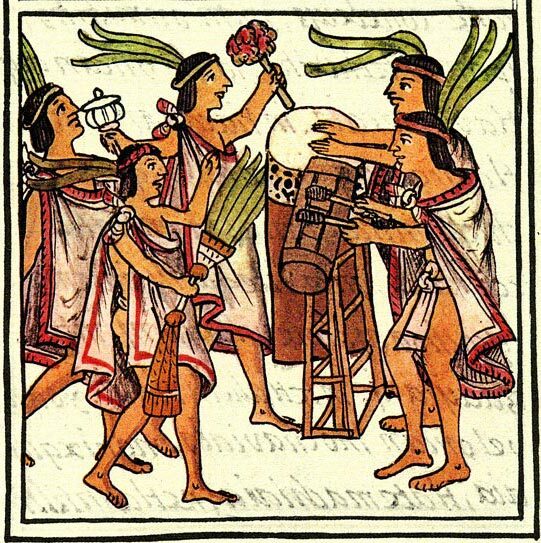 (González Torres) Thus, as with the food, dress, and linguistic influences which have passed on to Mexican American culture, Aztec dance has within it living elements of the historical events which formed our identity, and which derive from a primarily indigenous foundation. Various other cultural customs have carried over to Mexican culture from indigenous, pre-Columbian times, and continue to influence and shape our culture today. 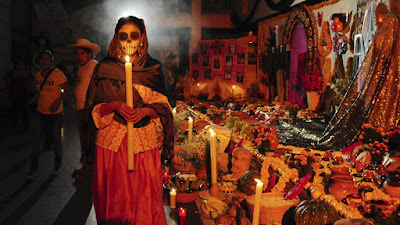 The holiday of Dia de los Muertos, or the Day of the Dead, is a direct link to the indigenous past, and is becoming embraced by the larger American community which is influenced by the strong Mexican American presence in California and the Southwest. Day of the Dead has been merged with the Catholic All Souls’ Day, providing yet another example of the means by which indigenous culture adapted and persisted in the face of the Spanish conquest. Folk beliefs and practices often carry strong indigenous undertones. 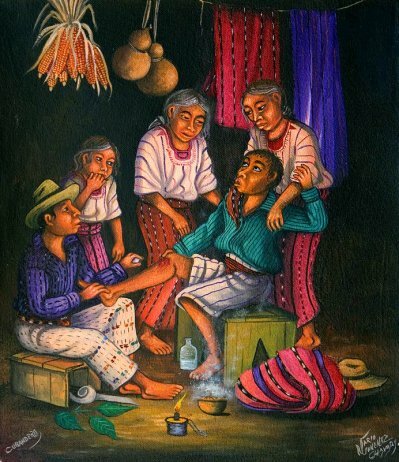 Curanderos, or traditional healers, utilize herbs and other natural remedies to heal. Native spirituality, Roman Catholic prayers, and elements of Moorish and Spanish herbalism and religion are all combined by curanderos to treat both the physical and the spiritual cause of illness. The belief in witchcraft can also be traced to indigenous Mexican folk religion. Naguals, shape-shifting brujos or sorcerers, can transform themselves into animals and use their power for either good or evil. A person's tonal or daysign can determine which animal represents the positive and negative aspects of their nature, and which animal a person may share a spiritual connection with. 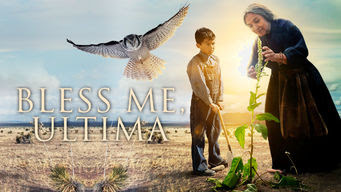 In Rudolpho Anaya's book Bless Me, Ultima, the curandera Ultima shares a spiritual connection with an Owl, which represents her soul. 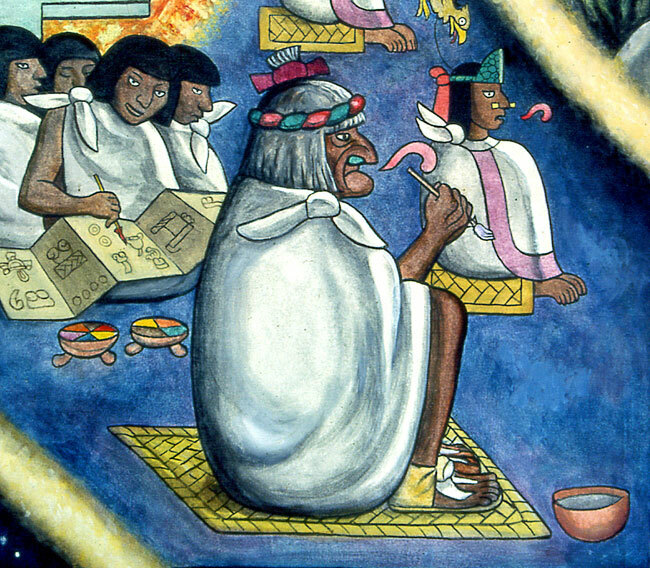 Even scary stories told to children have their origins in pre-Columbian Mexico. The story of La Llorona, "The Weeping Woman" who's ghost cries along the river searching for her lost children, is often used to keep children from wandering out at night. 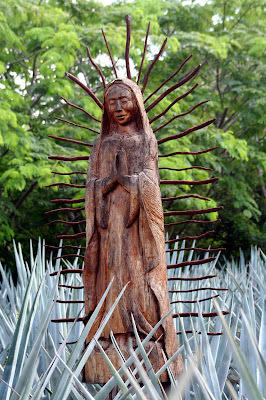 The story of La Llorona derived from the Nahua myth of Chocacihuatl. 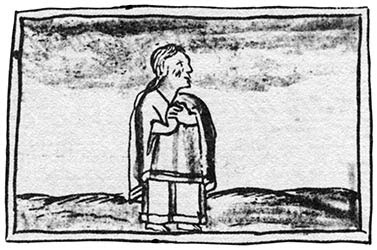 In the Nahuatl language, choca means to cry, and cihuatl means woman. 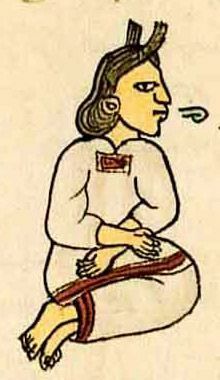 Chocacihuatl was the spirit of the first woman who died in childbirth, and her cries could be heard along the banks of Lake Texcoco. The skulls of Chocacihuatl and her lost son floated in the air and hunted any traveler who crossed their path in the darkness of night. The unfortunate person who saw these things could be sure of misfortune or death. 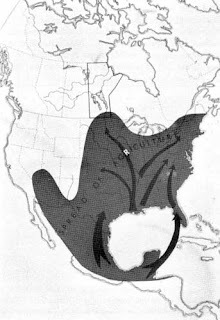 In first discussing the ethnic roots of Mexican people in the beginning of this essay, the UC San Francisco, Stanford University, and Mexico’s National Institute of Genomic Medicine’s landmark study of the genetics of Mexico was cited to demonstrate the Native American ethnic heritage within much of the Mexican population. It is as a direct consequence of this ethnic heritage that other indigenous cultural aspects are still in place within Mexican culture; if only sometimes a bit under the surface. 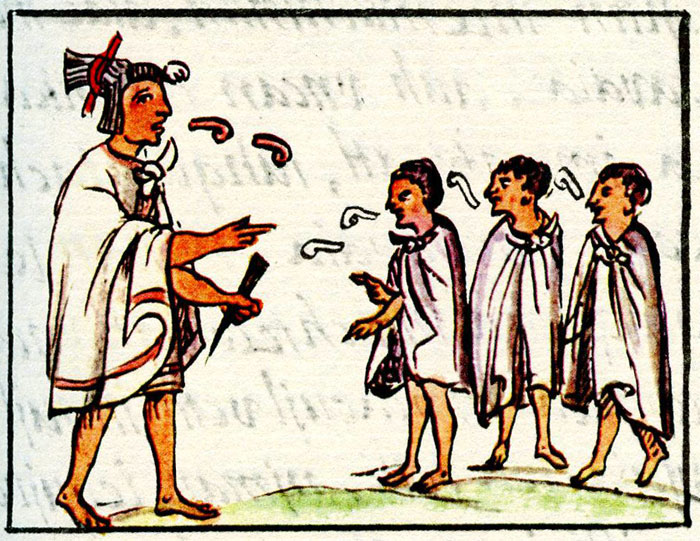 The various indigenous influences on Mexican food culture were shown to have their foundation in the indigenous American corn cultures which developed in Mexico and which spread civilization. Due to this culinary heritage, modern Mexican Americans are returning to their ancestral foods for the health benefits they provide. Clothing, music, and other cultural customs whose roots can be traced to indigenous times all share one common theme: their survival within Mexican culture are living examples of it’s unique origins and development here in North America and Mesoamerica. Acuña, Rodolfo. Occupied America: A History of Chicanos. New Jersey: Pearson, 2015. Aguilar, Mario. The rituals of kindness: The influence of the Danza Azteca tradition of central Mexico on Chicano-Mexcoehuani identity and sacred space (PhD). The Claremont Graduate University, 2009. Craft textiles in Mexico Introduction - Historical Precedents. Veracruz, Mexico: Universidad Veracruzana. June 1, 2010. González Torres, Yolotl. "Conchero’s sanctuaries and pilgrimages". INAH and University of Colorado, Boulder. May 28, 2012. Gorney, Cynthia. “A People Apart.” National Geographic, November 2008. Haas, Lisbeth. Saints and Citizens: Indigenous Histories of Colonial Missions and Mexican California. Berkeley and Los Angeles: University of California Press, 2014. Ilich, Tijana. “Music of Mexico - Son, Ranchera, Mariachi.” About Entertainment, 2015. Jackson, Mark. The Oxford Handbook of the History of Medicine. Oxford University Press, 2011. Laws, Rita. “Native Americans and Vegetarianism.” Vegetarian Journal, September 1994. McDougall, Christopher. “The Men Who Live Forever.” Men’s Health, June 28, 2006. Moreno-Estrada et al. The genetics of Mexico recapitulates Native American substructure and affects biomedical traits. Science, 2014. 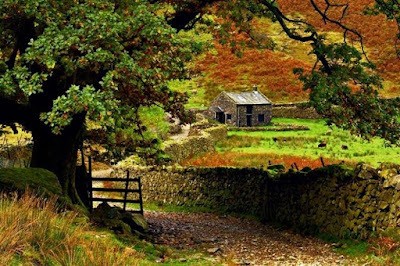 Over the years, I have realized the increasing importance of living according to the seasons, and have felt the peace that comes from harmonizing ourselves with the cycles of nature. 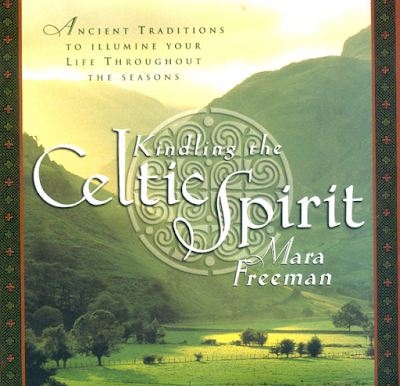 I am happy to have discovered Mara Freeman's wonderful book, Kindling the Celtic Spirit, just in time for the transition to autumn - my favorite season. 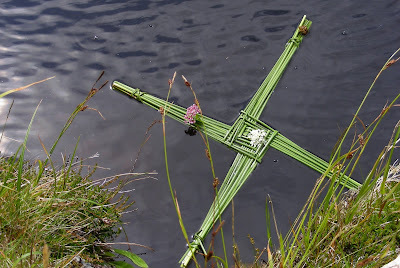 This book describes the seasonal traditions, legends, recipes, plant uses, and many ancient customs of the Celtic peoples for every month of the year, and has become a treasured reference book for me to connect more deeply with the Earth and nature-based wisdom of my Irish and Scottish ancestors. Awareness of life as an unfolding spiral is something that, sadly, we have lost today. In the modern world progress is seen as a linear upward march. If we do not consistently improve and achieve, we think there is something wrong. But through consciously aligning ourselves with sacred time by attuning our lives to the spiral of the Celtic year, we are accepting the invitation to the grand dance of the universe, in which our partners are the sun, moon, and stars and every living thing. With this greater sense of connection to the flow of the cosmos, we find a greater appreciation of the present moment and can now enjoy the journey instead of grimly fixing our sights toward a distant goal on an ever-receding horizon. 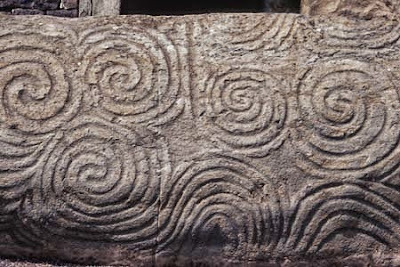 By embracing a "spiral attitude" toward life, we can gracefully take each step of the dance as we are led joyfully along by what the great Irish hero Fionn McCumhaill once called 'the music of what happens'"
It is not only within the Celtic tradition where we may attune our lives to the spiral year and to sacred time, but within all traditions. There is knowledge and macrobiotic wisdom to be found in all cultures and ancestries. Let us again live according to sacred time and the seasons of the Earth! Let us share with our families, friends, and community the peace and well being that comes from living orderly lives.